On Tuesday morning there was a knock on my door. It was Rudolph, asking to get his nose back. If you have minor symptoms like chills or a leaky nose, take them seriously. Learn to listen to your body. I used to often neglect the first symptoms of getting sick because that is when I would still feel semi-good: it’s really easy to think ‘oh this will pass on its own’. Unfortunately the cold causing virus is no Balrog: Unless you take it easy, it shall pass, leaving our inner Gandalfs (and Frodos) ran over. The next step is to take supplements. If you don’t have them handy, it’s worth the trek to the closest pharmacy. What you’ll need are Vitamin C, Echinacea, and Vitamin D. Since vitamin C is water-soluble, temporarily taking excess amounts is okay. I take a lot of vitamin C every few hours and usually at least 3 times more than it says on the label. 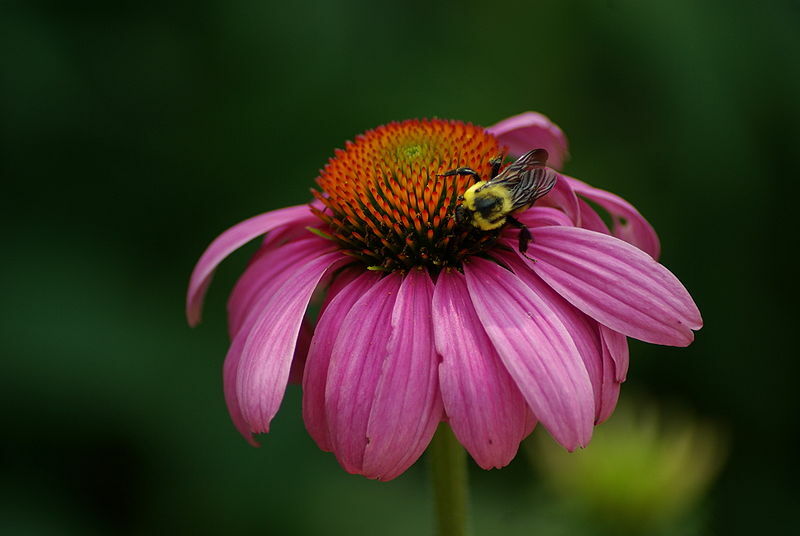 Echinacea is a flowering plant used for boosting the immune system. If you haven’t been taking it on a regular basis, you can easily double the dose recommended on the package. And finally, take vitamin D (which we get too little of anyway, especially during wintertime! ), preferably with food. Make sure you drink plenty of fluids, and top it up with a cup of warm tea, sweetened with honey. Then if you can, hit the sack. Our bodies work hard during sleep, and so in order for your immune system do its job effectively, try to get some sleep. A little nap is better than nothing. If you don’t rest now, it will be pretty much guaranteed that you’ll be too sick to do anything tomorrow (a mistake I have done so so many times). If you can, invest in today and have a day off. The next day, if you are feeling better, it’s important to treat it as though you were sick: No exercise, dress extra warmly and take it easy. Keep taking your supplements and drink plenty of water and tea. Other useful tips are to use a neti pot (those elephant-shaped little pots used to rinse the nasal passage) and salt water gargle. In 9 cases out of 10, if I go through this routine during the first two days of sickness, I’m able to pass the cold before it even properly begins. This time, instead of being sick for a week, I managed to feel healthy the next day and on Thursday I even completed my second 20 min run of this week’s training, feeling perfectly healthy. Anyway, I hope these basic little tips are helpful (especially trying echinacea if you’re not yet familiar with it).